Our market data and insurance company financials give you access to the best competitor and market intelligence available. A complete data solution for marketplace analysis and competitive intelligence. Analyze your market position, track competitor performance and evaluate business opportunities segment by segment. The complete data solution for health insurance market analysis and competitive intelligence. Reliable estimates of health insurance market share at the county level. A tool for easy comparative analysis of Medicare premiums, co-pays and benefits. A database for tracking managed Medicare enrollment and market share. Annual enrollment for Commercial Risk, ASO, and Government plans, plus health company contacts. 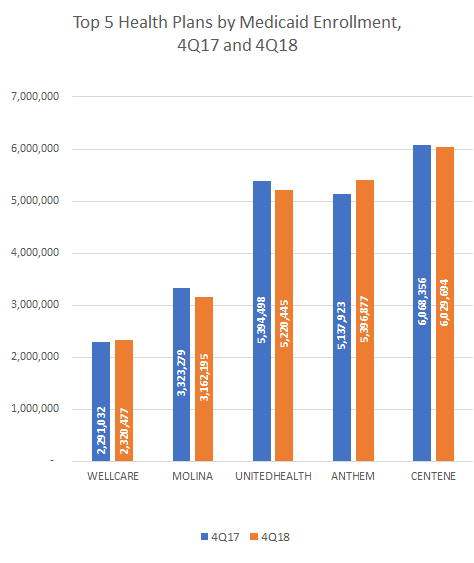 Mark Farrah Associates provides insights about the current managed Medicaid market, and assesses year-over-year membership trends by carrier, with light shed on the pending Centene/Wellcare acquisition. CMS has implemented Section 50323 of the Bipartisan Budget Act of 2018 by letting insurers put telehealth benefits in their basic benefits packages for 2020 Medicare Advantage plans.